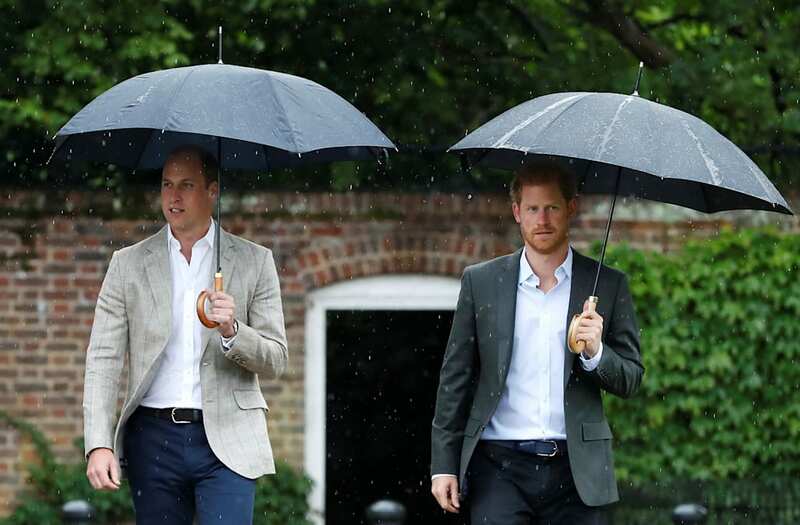 Princes William and Harry have remained strong since the death of their mother, Princess Diana, 20 years ago. In the new documentary Diana, 7 Days, the brothers get candid about their mother's tragic passing and how they're still trying to fill the void that she left. "All I want to do is try and fill the holes my mother has left," Prince Harry, 32, says in a new clip. "And between myself and William, and everybody else that's in those privileged positions, to try and make a difference. And that's what it's about for us, trying to make a difference." The two-hour documentary will explore the tumultuous week following the death of Princess Diana on Aug. 30, 1997, after she was involved in a fatal car crash as French paparazzi followed her through Paris. For Prince William, the 35-year-old royal and father of two explains how both of his parents brought him and Harry up to understand that "there is this element of duty and responsibility that you have to do things you don’t want to do." However, it became harder once their mother died. "When it becomes that personal, walking behind your mother’s funeral cortege, it goes to another level of duty," William adds. "But I just kept thinking about what she would want and that she’d be proud of Harry and I. And effectively, she was there with us. It felt like she was walking alongside us to get us through it." Former British Prime Minister Tony Blair also recalled what Queen Elizabeth II said to him following Diana's death. "She was obviously, most worried about the impact on the boys. She was obviously very sad about Diana," Blair explains in another clip. "She was concerned about the monarchy itself, because the Queen has a very strong instinct about public opinion and how it plays. And, in that first conversation, we agreed to keep closely in touch with it. I got people from my office to work very closely with the royal court and how we managed the affair over the next week." Leading up to the 20-year anniversary of Princess Diana's death, Prince William and Harry have given several candid interviews about that devastating day and their childhood before and after the life-changing trauma. In previous clips, Prince William also expressed how he wouldn't let his mother's death break him. On Wednesday, a day prior to the anniversary, the brothers, along with Kate Middleton, paid tribute to their mother by visiting the Sunken Garden at Kensington Palace in London, England. Diana, 7 Days airs Sept. 1 at 8 p.m. ET/PT on NBC.